Auckland is awash with lemons at the moment, in fact lemon overload is one of the very few things that I like about winter. It pains me to drive past a tree that is covered in lemons but with even more on the ground. Give them away people if you aren’t going to use them yourself! 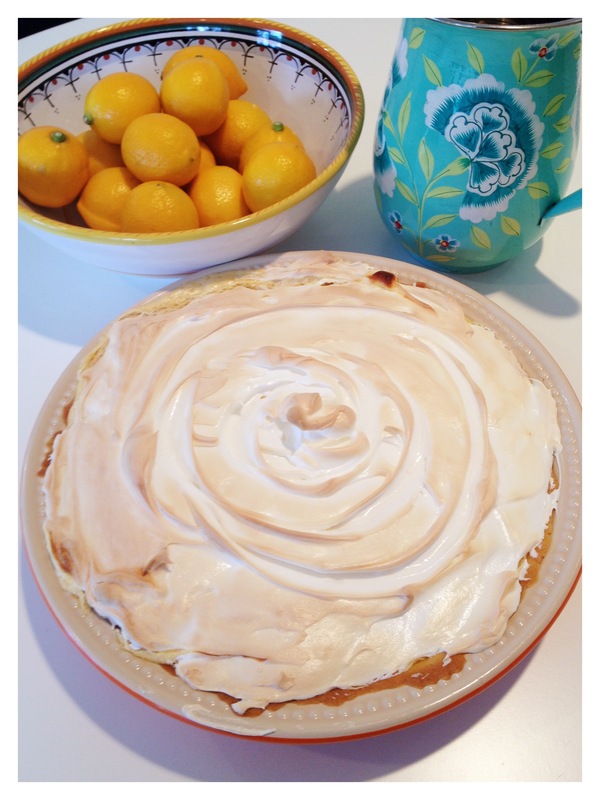 Recently I was having a lazy Sunday afternoon but wanted to make a nice dessert that the kids could help with, so inspired by all those lemons, thought about a lemon meringue pie. Instead of going the whole hog and making my own pastry, this recipe cheats with store-bought pastry which makes it relatively quick and easy. Lemon meringue pie apparently originally comes from Victorian England, where it was first called Lemon Chester Pudding. In Jane Grigson’s “Fruit Book” she references a recipe from 1868 and surmises that Chester being near Liverpool, the great port of emigration to America, this recipe may well have stowed away in some settler’s baggage, to be reinvented as Lemon Meringue Pie on the other side of the Atlantic. Roll out pastry on a lightly floured board to 2mm thickness. Use to line the base and sides of a 22cm flan dish. Bake blind at 200 degrees celcius for 10 minutes. Remove baking blind material and cook for a further 2 minutes to dry out. Cool while making filling. For the filling mix the egg yolks, condensed milk, lemon juice and lemon rind together. Beat egg white until soft peaks form and fold into lemon mixture. 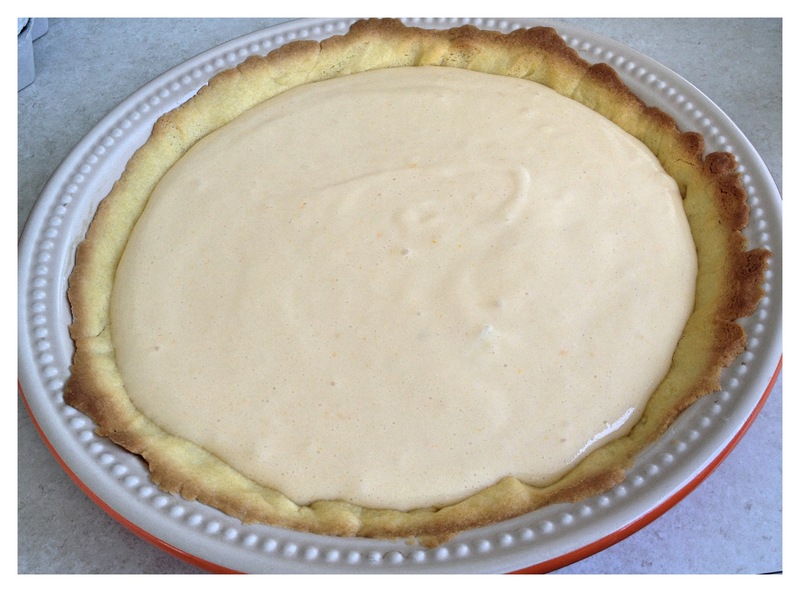 Pour filling into pastry shell. Beat the egg whites until soft peaks form. Beat in sugar, a little at a time. Continue beating until thick and glossy. Spread meringue over filling. Bake at 180 degrees celcius for 8 to 10 minutes or until golden.